Even though cheap and simple, dog muzzles are functional everyday accessories that benefit dog owners in many ways. If you have an aggressive and or territorial dog breed, for instance, a muzzle will help you to keep it restrained and lower the risk of bites and injuries. If you walk or engage your dog in outdoor activities such as hiking, research has it that most people feel comfortable around dogs with muzzles than those that do not have one. This way, you can enjoy your activities, confident that you are not infringing on other people’s rights and or putting them at risk. 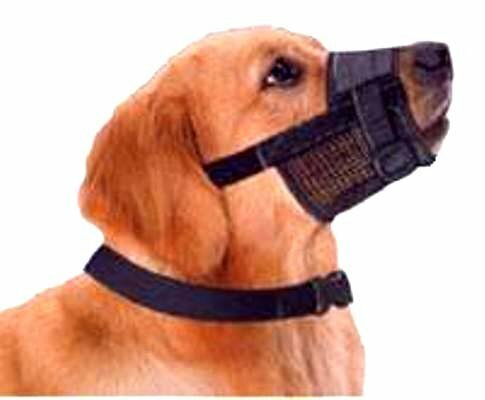 With the diversity of dog muzzles available in the market, choosing the best can be challenging. To help you through the process, we highlight the top 10 best models to buy in 2015. Starting our review of the 10 best muzzles in 2015, Dog Baskerville is a dark-themed Ultra muzzle made of a tough, durable, and soft rubber material. It is light and highly comfortable, has a humane basket design that offers all round protection, and wide slots that allow for unrestricted drinking and or panting when it is in use. 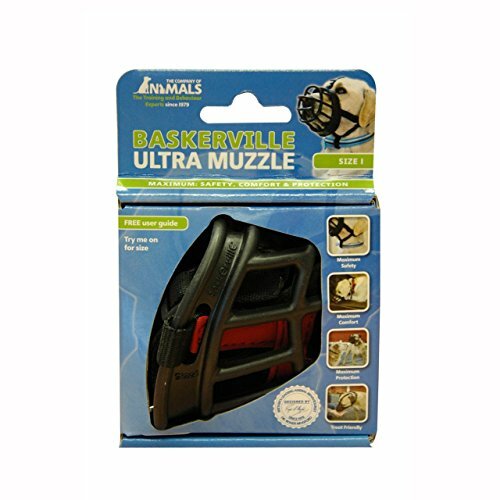 As many high-grade muzzles in the market, Dog Baskerville is easy to use. It slips unhindered around the snout of several breeds of dogs. It also has adjustable safety strapping for a custom fit and two additional anchor points for a secure, wiggle-free attachment. If you are shopping for a durable and easy to use dog muzzle on a budget, Quick Fit dog muzzle by Downtown Pet Supply is a suitable accessory to buy. The black nylon material used to make it is light, durable, and water resistant. It is attainable in several sizes, fits seven-inch snouts, and has durable and adjustable straps for a comfortable and custom fit when in use. This muzzle is affordable. It is machine washable, has a quick release buckle, and is among the best muzzles for restraining aggressive dogs. 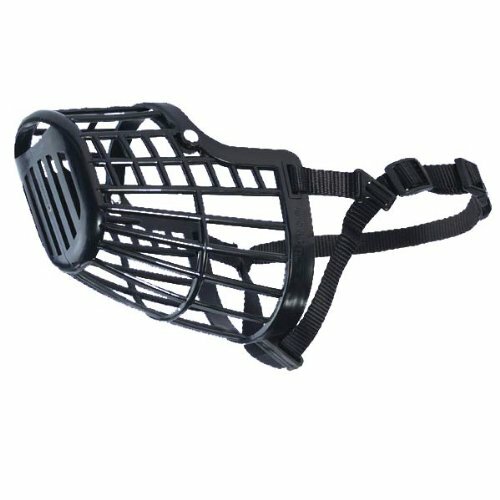 This nylon Quick Fit dog muzzle by Dogs My Love is a well-fitting accessory designed for restraining large dog breeds. It is comfortable, fits snout sizes between 10.5 and 11.5-inches, and has well-fitted adjustable nylon straps for a custom and comfortable fit. 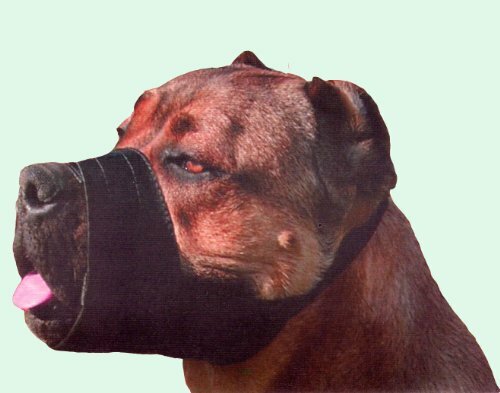 Even though simple, this one-of-a-kind dog muzzle is helpful in many situations. If you have an aggressive dog, for example, you can use it for regular grooming. You can also use it for off-leash walks or restraining your dog on route to a veterinarian without compromising comfort or safety in any way. For those with a tight budget, this muzzle is affordable. It is easy to use and readily available in many online stores. 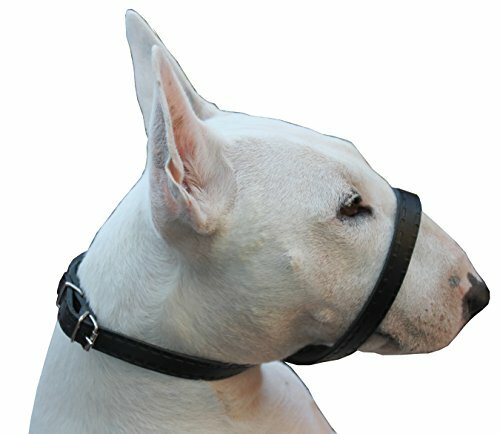 This Quick Fit dog muzzle by Pour Paws is a novel restraining accessory for dogs that is attainable in all sizes. It is light, affordable, and made using quality nylon. The material is comfortable. It is water resistant, washable, and has a humane quick-fitting design that prevents chewing, barking, and biting when grooming, off-leash walking, or during routine veterinary checks. 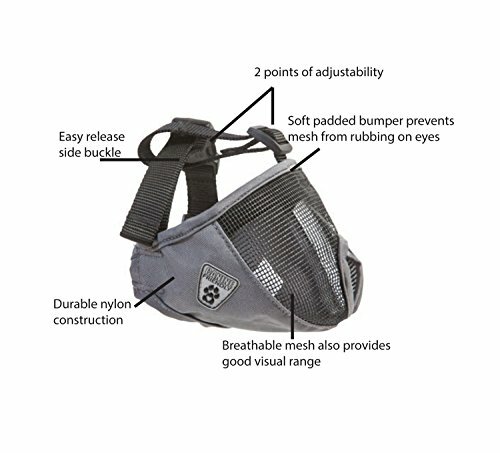 As many products on this list, this Quick Fit dog muzzle has adjustable straps with minimal buckles for a custom and non-irritant fit, and a strong yet open design that allows for unhindered drinking and or panting. Ideal for dogs with 7-inch snouts, Guardian Gear by PetEdge Dealer Services is a strong, all-in-one muzzle that not only mutes barking, but also chewing and biting of users and strangers. It fastens securely to prevents slip ups, has a water resistant construction using high quality nylon, and chafe-free inner seams and a lining that maximize comfort when in use. Out of the box, it ships ready to use. It is machine washable, has a one-inch comfort strip, and fully adjustable straps. For its affordability and effectiveness, Guardian Gear is recommended in top 10 best dog muzzles reviews. Whether you have an extra small, small, medium, large, and or extra-large dog and shopping for a reliable dog muzzle for regular usage, this adjustable dog-grooming muzzle by Downtown Pet Supply will serve you well for long. The high quality nylon mesh used to make it is light, durable, and non-irritant. 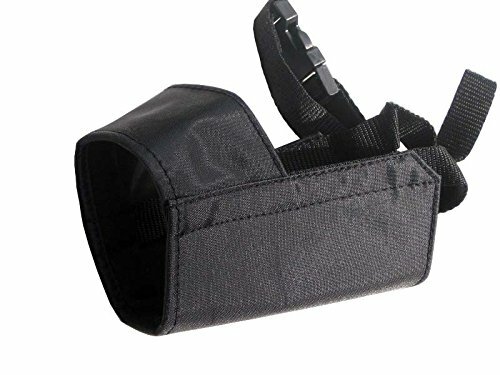 It fits snout circumferences of between 6-inches and 7-1/2 inches, has a quick clip adjustable strap for a custom fit, and a quick release clip that eases removal when not needed. For optimal comfort and safety, it is advisable that dog owners use this nozzle for 30 minutes at a time. Designed for muting barks and lowering the risk of dog bites, Do My Love’s loop bite-bark control muzzle is an adjustable and easy fit nozzle made of durable leather. The material is 1/2 inch wide and 1/8 inches thick, super comfortable, and withstands regular usage without snapping and or losing its functionality. 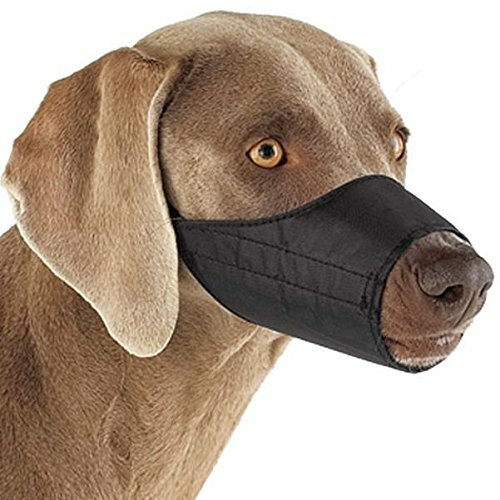 This dog muzzle is easy to use. It is affordable, low maintenance, and has and adjustable circumference and an 8-shaped snout and neck strap for a secure fit. Buy an original for best result. 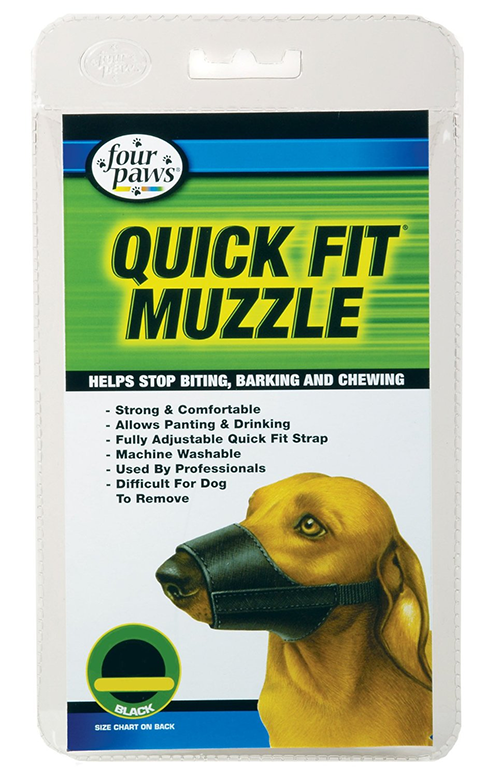 In top 10 best dog muzzles reviews shared online, this Quick Fit dog muzzle is a recommended brand for grooming and leash free exploration for many reasons. Its durability and humane design, for instance, is a major draw for veterinarians, pet trainers, and dog owners conscious about their pet’s health. It is attainable in many sizes for different dog breeds, has adjustable straps for a secure yet comfortable fit, and is attainable cheaply in reputable online stores. This muzzle is made of a high quality nylon fabric. The material is comfortable, non-irritant, and water resistant. If you are shopping for a new dog muzzle, and safety and efficiency rank highest on your list of wants, you will never regret this short snout nozzle by Canine Friendly. Its durable construction using premium grade nylon is light and comfortable. Its breathable mesh upper keeps dogs cool and comfortable, while its adjustable slider and side release buckle makes muzzling convenient and quick no matter the size or breed of dog that you are dealing with. Other desirable attributes are its large head circumference (11-17 inches) and soft bumpers that prevents it from irritating eyes. Guardian Gear basket muzzle is an aesthetic and functional muzzle for dogs made of strong yet flexible plastic. It fits comfortably and securely around dog snouts, offers a high level of safety against aggressive dogs, and a unique basket design that is humane and does impair breathing as some low quality models do. This muzzle is 6-1/4 inches wide, has a fauX leather comfort strip, and an adjustable nylon strap.